This is part five of a five-part series introducing the creative process for data-driven campaigns as outlined in our new guide: The Creative Process for Programmatic: A Guide for Marketers. Until quite recently, the launch of an ad campaign marked an end-point for most of the parties who created it. Once the campaign was out in the world, it was time to crack a few celebratory beers and move onto the next thing: whether that meant coming up with new creative executions that built tangentially on the campaign’s success, or scrapping it for something new entirely. Today, data-driven marketing empowers brand advertisers and agencies to closely monitor not just how successful a campaign is after launch, but which elements are driving that success. Teams can optimize live campaigns mid-way through the flight and make tweaks to improve performance and update assets for future flights, rather than starting from scratch each season. 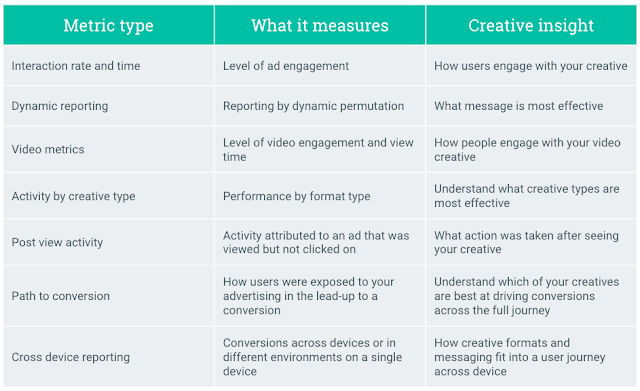 As data-driven campaigns have become more sophisticated so, too, have the tools for measurement. It’s no longer just about CTR: now, teams can measure elements such as post-view and view-through conversions as well as engagement metrics such as video completes and interaction rates. This paves the way for more specific and nuanced KPIs, allowing teams to consider what success means for individual campaigns and brands as a whole. Teams are now actively involved in the evolution of the campaign, closely monitoring which audiences respond to which elements of data-driven creative and proactively optimizing on the fly. There are greater opportunities for learning, as teams work together to analyze why audiences may be responding favorably (or not-so-favorably) to different elements. Teams can use these learnings for future campaigns and, at the same time, pull in learnings from other data-driven campaigns to inform the work that’s currently live. You can learn more about this campaign, as well as get a full picture of best practices for data-driven creative campaigns, in our new guide The Creative Process for Programmatic: A Guide for Marketers. Join us for a webinar on our creative research, focused on how agencies can bring data-driven creative to life. Thursday, April 21st @ 12pm ET. RSVP here.